I remember when I just had my BEI The Yorkie, I often heard that rotating dog food was never good choice to do for dog owners. I heard that it could stimulate bad digestion and stomach upset for dogs. This was not good for BEI as I know how picky he is and how he often gets bored with the same dog food after some period eating it. Then I know that it is not completely true. Maybe it is true for dogs that have sensitive stomach and cannot digest easily new dog food given to them. However, for dogs that do not suffer sensitive stomach, rotating dog food is actually helpful and beneficial for them. By rotating dog food, we as dog owners actually help them to build their immune system as the dogs can receive various and diverse nutrients that are not the same from one brand to another. No matter many dog food brands claim to provide complete dog food with perfect ingredients, there are always the others that provide different nutrients that can protect our dogs‘ health and immunity. 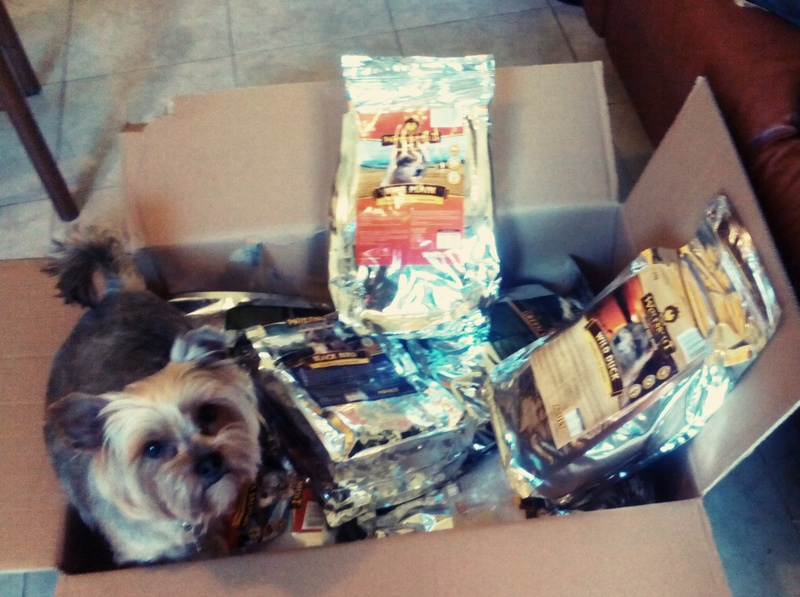 The most important thing to do when we are rotating dog food for our fur babies is to make sure the brands we choose provide quality ingredients in the composition. This is crucial as there have been many dog food brands that have received so many recalls and complaints. Nevertheless, there are still many reliable dog food brands that we can still trust as they really care about our dogs‘ health. My priority in choosing dog food for my BEI is that they must not contain cornflour or cornmeal, grains, gluten and meat by products. The second priority is how the companies process and conserve their dog food products. In addition, they must also contain enough fresh meat ingredients, healthy vegetables and fruits as dogs are naturally omnivores. So far, my choices have been the Champion Pet Food from Canada (Acana & Orijen) and Wolfsblut from Germany. However, the last few months, I have been observing two brands from UK named Applaws and Lily’s Kitchen. So I will see later if they could also be other great options for BEI’s dog food rotation as I have read great reviews about them. I usually rotate BEI’s dog food every month for the meat or flavor variants while every six months for the brands rotation (from Champion Pet food to Wolfsblut and vice versa). Moreover, when I rotate his food, I usually mix the old food with the new food step by step for the first seven days. Rotating dog food suddenly in one day is never a good option. Once again, rotating dog food is never a bad thing for our dogs unless they are dogs with sensitive stomach or dogs with particular allergy. Instead, dog food rotation from one quality brand to another is healthy choice for our dogs as their bodies’ immune system will learn to adapt to different dog food and benefit from various quality ingredients provided.